For over 100 years Sturm Elevator, an independent family owned and operated business, has been serving home owners, business owners and property managers throughout the state of Oregon. ​For all your residential and commercial elevator and mobility services needs in Redmond Oregon call Sturm Elevator at 503-284-2003. 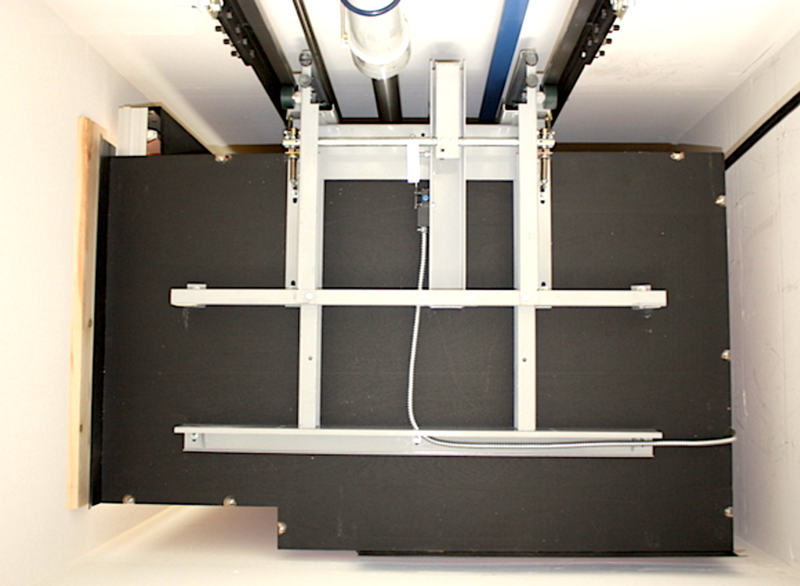 If you’re looking for the very best Redmond residential elevator installation, call Sturm Elevator today. We’ll offer a free consultation, so you can learn more about installing a residential elevator in your home. Residential elevators by Sturm Elevator offer greater ease of movement and access throughout your home, and add value to the house. 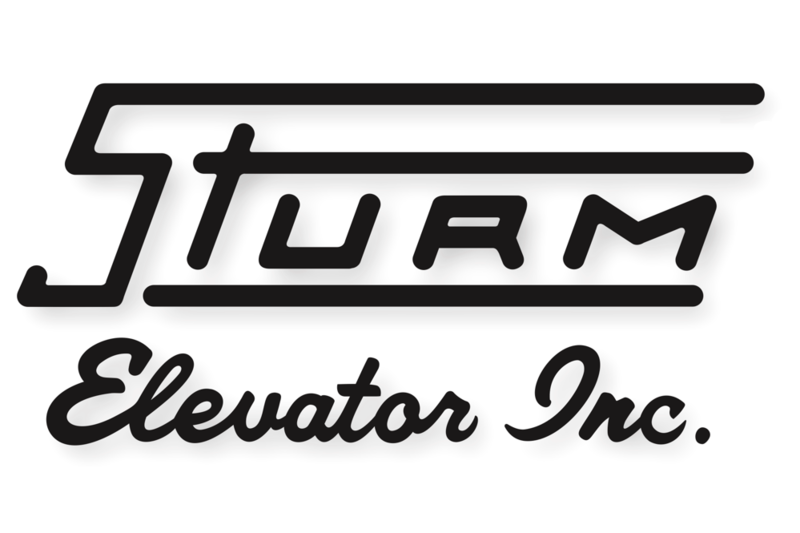 Sturm Elevator proudly offers elevators from Custom Elevator, a leading manufacturer of residential elevator. We can offer numerous customization options, allowing you to create an elevator for your home that runs the range from simple and minimalist to elegant and luxurious. To learn more, click here for our main Residential Elevator Installation page or call us for your free consultation and estimate at 503-284-2003. Sturm Elevator is on call 24 hours a day, 7 days a week, offering Redmond emergency residential elevator service whenever you’re in need. Just call 503-284-2003 any time, day or night, and Sturm Elevator can dispatch a technician to your home in cases of emergency. 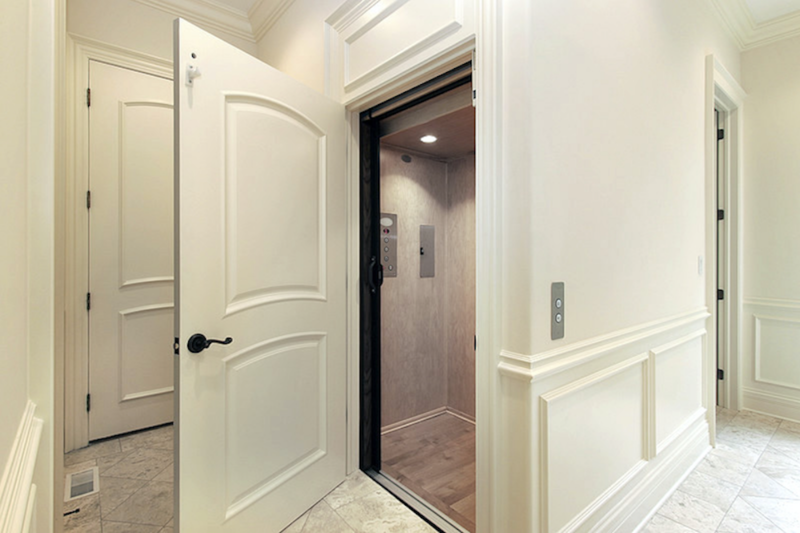 Whether for budgetary reasons or use of space, some home owners don’t believe a residential elevator is right for their house or condominium. 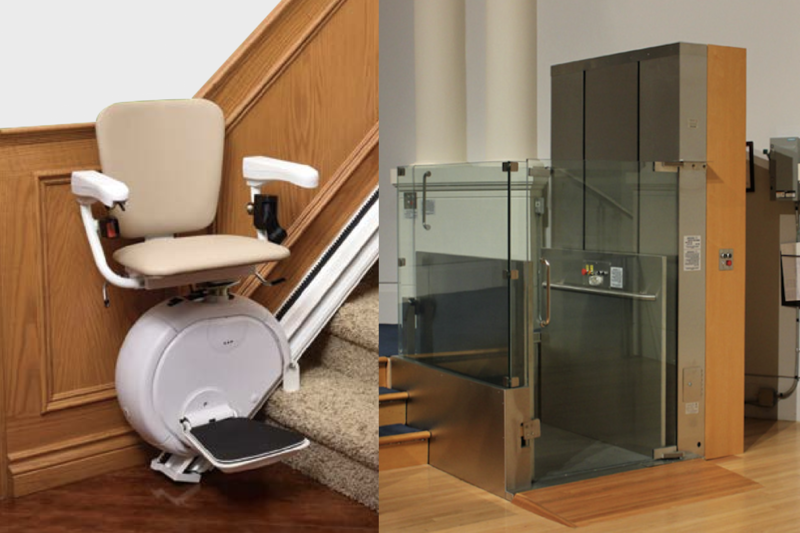 If an elevator isn’t right for you, then a residential chairlift or residential stairlift from Sturm Elevator might be the perfect solution for your home mobility needs. Chairlifts and stairlifts can be installed both inside and outside of a home. They take up less space than elevators and can be configured in unique ways to meet your mobility needs. For example, some stairlifts can be installed to move vertically along a floor at the top or bottom of a flight of stairs. 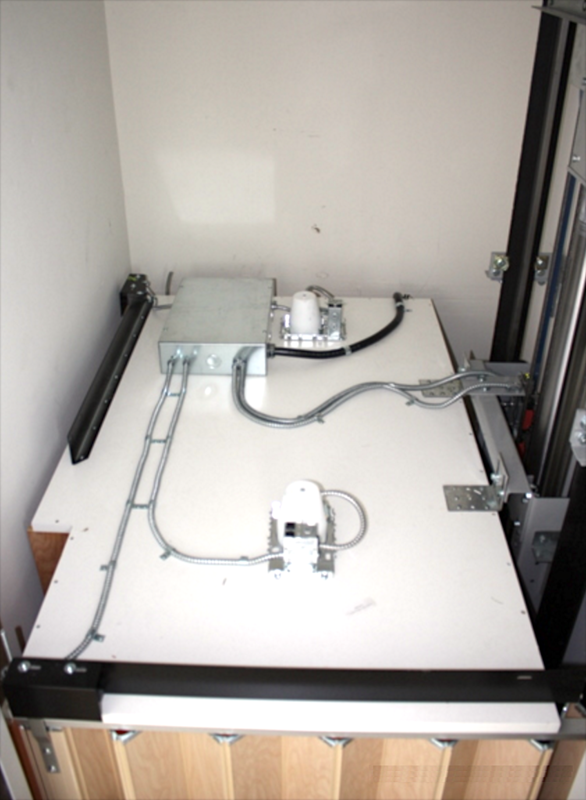 For home owners with existing Redmond residential wheelchair lifts and stairlifts, Sturm Elevator can provide parts, maintenance, servicing and repairs to keep your Redmond residential wheelchair lift or chairlift operating smoothly, reliably and safely. For more detailed information on home chairlifts and stairlifts, click here for our Residential Services page. You may also complete the Online Contact Form below, or call us direct at 503-284-2003. Sturm Elevator offers Redmond residential dumbwaiter installation along with dumbwaiter repair, maintenance and servicing. A dumbwaiter in the home offers home owners the opportunity to move heavy loads up and down between levels of the home. This is a tremendous safety benefit for residents who find caring things up and down stairs challenging. For all your residential elevator, chairlift, stairlift and dumbwaiter needs TALK TO the expert professionals at Sturm Elevator. If you would like more information about the commercial elevator services we offer throughout Oregon, click here for our Home page. There you'll find a more in depth look at each of the services referenced on this page, with additional photos, specifications and manufacturer's information. If you'd like a callback, simply fill out the form below and a Sturm Elevator professional will contact you soon. We also encourage you call us direct at 503-284-2003. 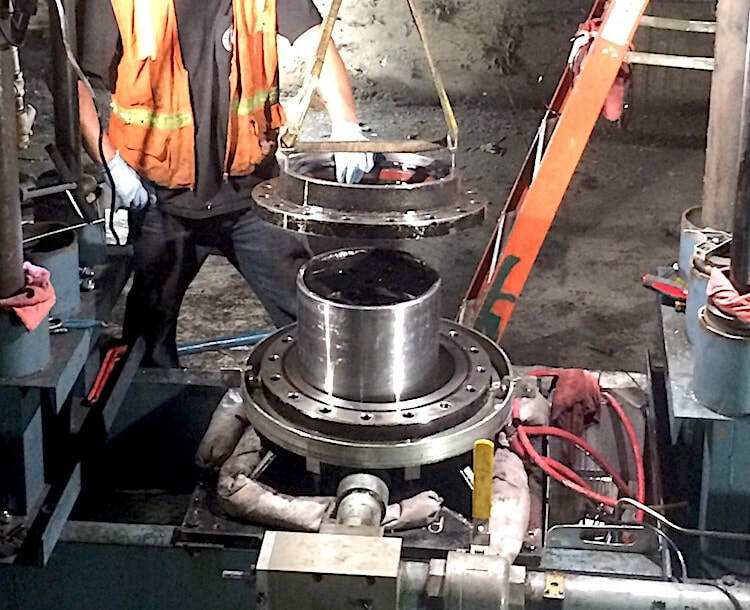 Sturm Elevator’s trained and certified journeyman mechanics have the knowledge and experience to keep your commercial elevators running smoothly and safely. 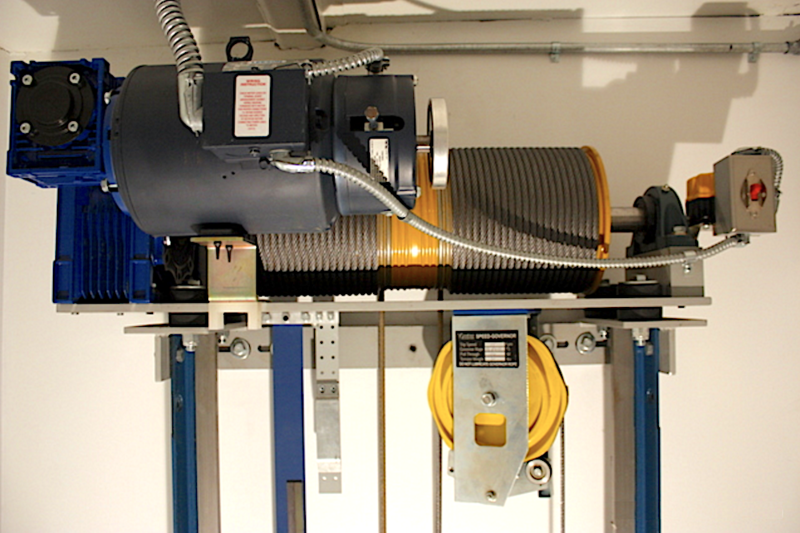 Sturm Elevator can also order parts needed to ensure your elevators are in peak condition. For commercial elevator maintenance, service and repair in Redmond fill out our Online Contact Form above to request a callback or simply call Sturm Elevator direct at 503-284-2003. We’re on call 24 hours a day, 7 days a week, offering emergency commercial elevator services in Redmond Oregon. There’s never a good time for breakdowns, stalls and emergencies. But you can rest assured knowing that Sturm Elevator can dispatch a technician or team any time, day or night, in case of an elevator emergency. When you need commercial elevator emergency services in Redmond Oregon call the Sturm team 24/7 at 503-284-2003. Sturm Elevator is your trusted source for commercial elevator phone monitoring services in Redmond Oregon. Commercial elevators are legally required to have functional and monitored phones or call boxes in each elevator car in case of emergency. We provide round the clock monitoring to our commercial clients, so their customers, guests and staff are always just a phone call away when help is needed. To learn more about telephone monitoring for commercial elevators, call the professionals at Sturm Elevator for a free consultation and estimate – 503-284-2003. 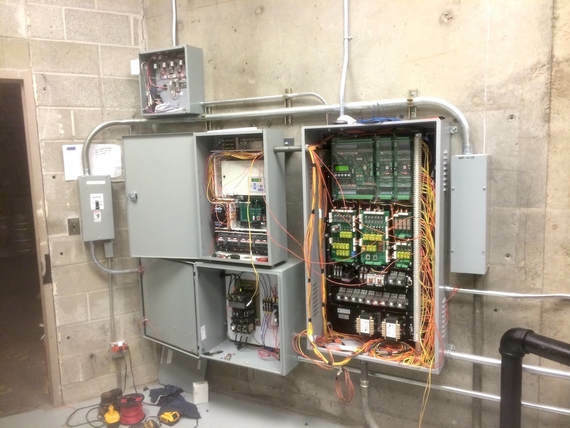 Sturm Elevator offers commercial elevator modernization to Redmond Oregon businesses to ensure reliable and safe operation of their elevators. 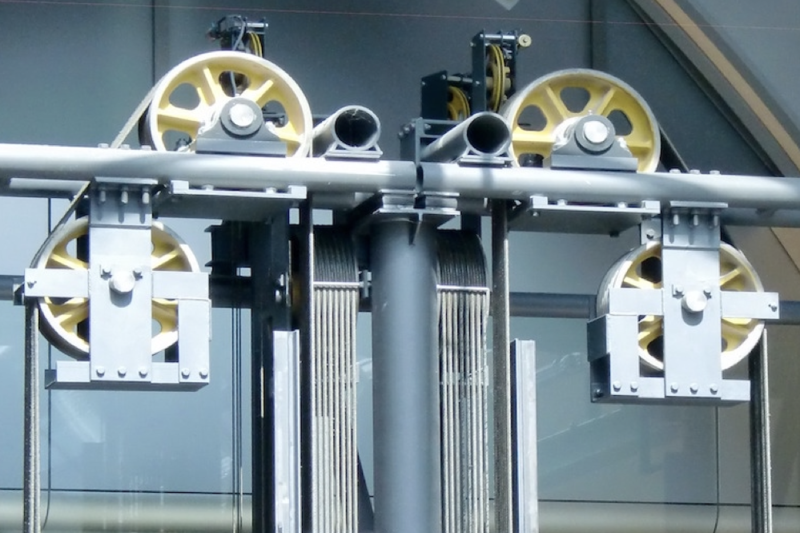 Like any complex machine, elevators wear over time. 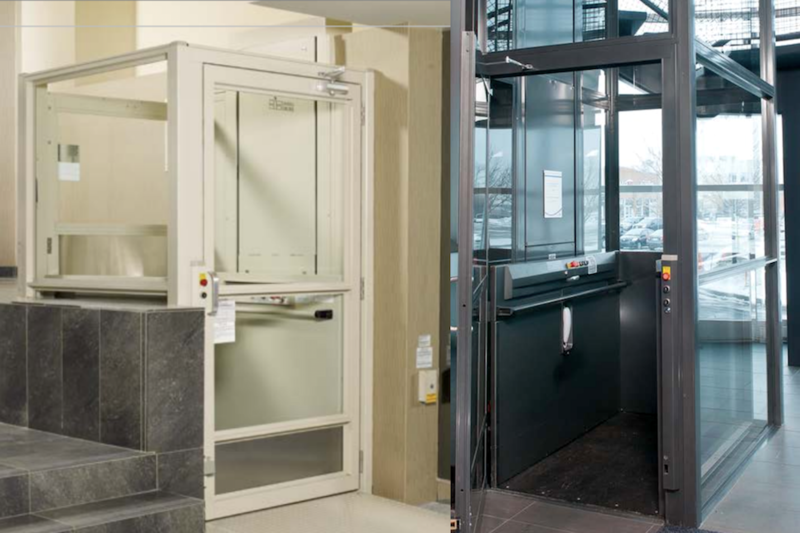 When it’s time to upgrade or modernize a commercial elevator, Sturm Elevator can ensure your elevators are brought up to code, function well, last long and are safe for everyone’s use. For a free quote on Redmond commercial elevator modernization use our Online Contact Form above for a callback or reach out to us directly by calling 503-284-2003. Under Oregon law, commercial elevators must be inspected and certified every 6 months by a licensed professional. To help you stay in compliance with state law, Sturm Elevator offers open ended service agreements for Redmond commercial elevator inspection and certification. When you enter into a service agreement with Sturm Elevator, keeping your elevators up to code couldn’t be easier. We’ll come out every 6 months to inspect and certify your elevator. You don’t have to worry about scheduling and you don’t have to worry about being in compliance. We’ll take care of everything. You also have the freedom to cancel at any time. If you’d like to set up an automatic bi-annual elevator inspection and certification for your business, or to schedule commercial elevator inspection and certification in Redmond Oregon with Sturm Elevator, call 503-284-2003. For detailed information on Oregon’s inspection and certification requirements, click here for the Commercial Elevator Inspection Services page. We offer commercial elevator installation services in Redmond Oregon to businesses and buildings 2 to 4 stories in height. Schools, churches, apartments, extended stay hotels, nursing homes and assisted living facilities, restaurants, funeral homes, and other commercial properties 2 to 4 stories tall are all ideal structures for the installation of a Limited Use & Limited Application (or LU/LA) commercial elevator. 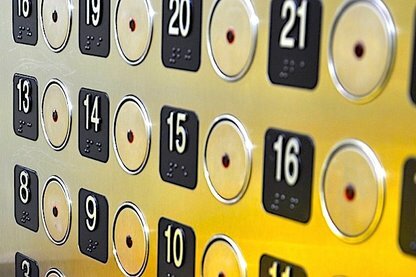 Commercial LU/LA elevators not only allow greater access to guests in your building, they’re also highly cost effective due to their energy efficiency. 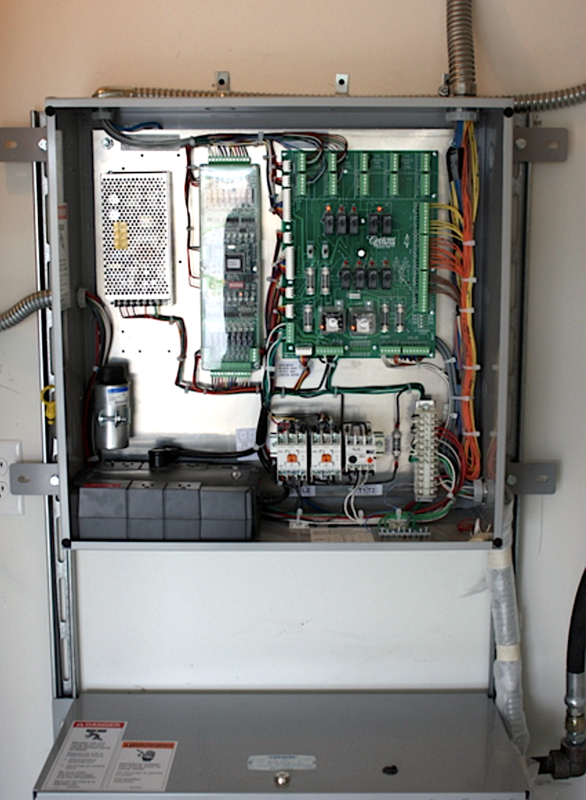 To speak to Sturm Elevator about Commercial Elevator Installation call us at 503-284-2003. Our expert technicians can service, maintain and repair commercial sidewalk elevators and commercial freight elevators in Redmond Oregon. And if your business needs upgrades, modernization or even parts for commercial freight elevators and sidewalk elevators, talk to the Sturm team today. Commercial stairlifts and commercial chairlifts are excellent options for businesses looking to offer easier access and greater mobility within their buildings. Customers, guests and staff can count on stairlifts and chairlifts installed and serviced by Sturm Elevator to be safe, reliable and effective. If your Redmond Oregon business needs commercial chairlifts or stairlifts, contact the mobility experts at Sturm Elevator for a free quote on installation, repairs, replacement or even removal of existing stairlifts and chairlifts on your premises. Call us at 503-284-2003 or complete our Online Contact Form above and we’ll call you back. If you’d like a more detailed look at chairlift and stairlift options for indoors and outdoors, click here to navigate to our Commercial Chairlift & Commercial Stairlifts page. Sturm Elevator offers commercial dumbwaiter installation, maintenance and repair services to businesses throughout Redmond Oregon. 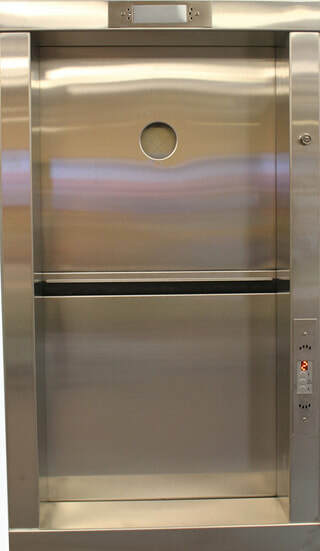 We install EIE’s high performance commercial dumbwaiters and our team can work on any type of dumbwaiter or commercial lift. 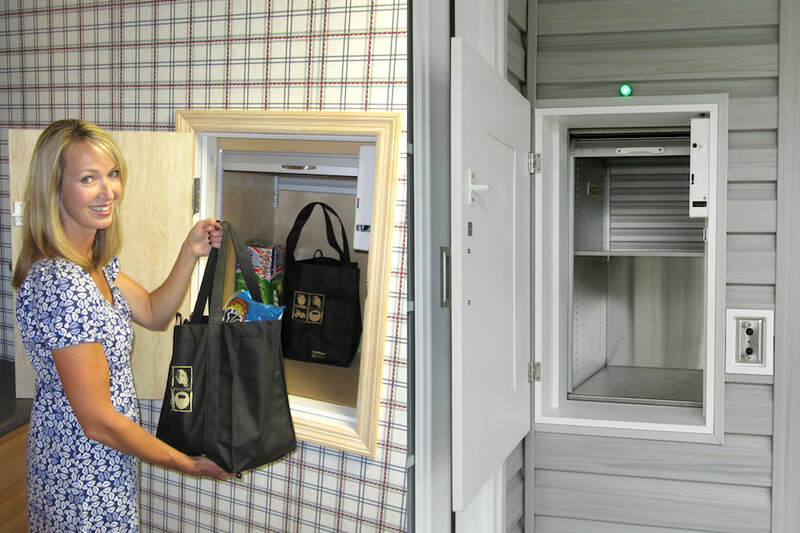 Whether you’re a business owner, home owner or property manager in Redmond Oregon, Sturm Elevator has the residential and commercial elevator and mobility options you need. ​Talk to a member of our team about what’s right for your home or business by calling us at 503-284-2003.